For years tiles have been the go-to option for flooring, which makes sense—tiles are affordable and easily accessible while providing adequate protection for a reasonable amount of time. The question, though? Is “slightly adequate” enough? Many people assume tiles can be easily maintained but, in reality, that’s often not the case. Micro-organisms, particles of debris and food as well as condensation are often lodged in between the grout joints of tiles, gathering and festering because the areas are so difficult to clean. 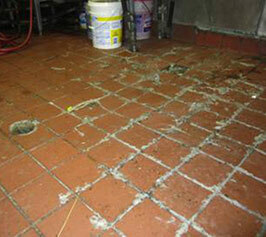 Quarry tiles, which are often used in restaurants, are highly porous and break easily and chip. 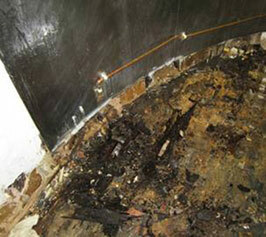 On the other hand, ceramic tile, a popular restroom flooring choice, stains easily and is often slippery when wet. 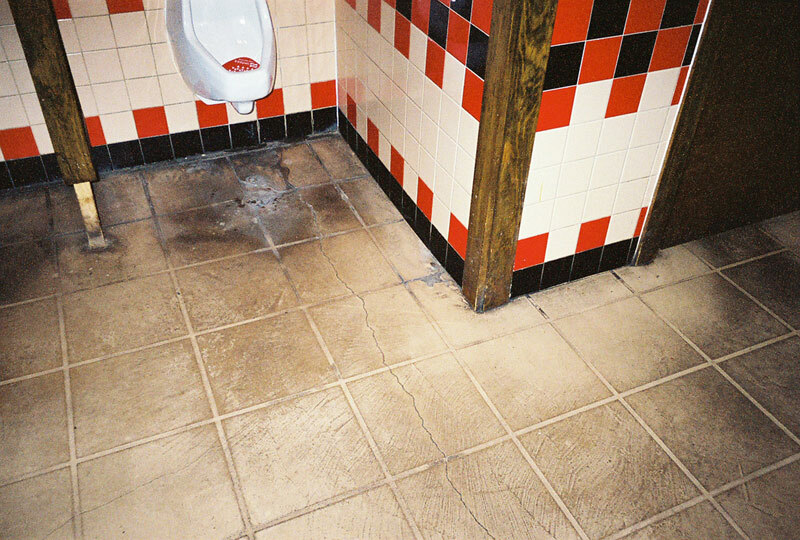 Both types of tiling provide a dangerous and unsanitary environment for everyone who comes into contact with them. And quarry tile and grout? They’re porous and therefore cannot be anti-microbial. Tile is applied to the floor with a troweled-on cement based mortar—because quarry tile is porous, water eventually goes through it and breaks up the mortar. 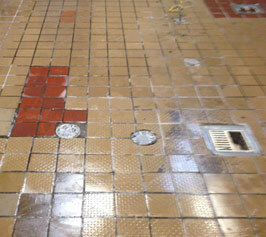 The grout also gets washed out and allows water and grease easier access to underneath the tile. This is why tile becomes loose so often. 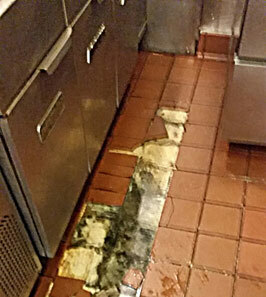 Often, people take matters into their own hands when this happens, using epoxy grout to try to fix broken tiles or highly eroded grout problems. But even careful applications won’t resolve the issue—the moisture that is saturating the mortar becomes trapped under the tile because of the epoxy which causes the tiles to pop-up, chip, or crack. The better solution? Everlast® Epoxy Floors. These floors come complete with an EPA-registered anti-microbial throughout and are non-skid, non-porous, non-absorbent, easy to maintain and completely seamless. If that weren’t enough, these floors come in a variety of attractive colors with options for “green” floors and custom designs. Composed of solid epoxy resin with marble-chip and quartz aggregates, Everlast® Floors are durable and environmentally friendly. Think of these floors as THE permanent solution to your tile troubles.